L'Orchidee colours and lifts the complexion with an easy-to-apply luminous veil that can be endlessly adjusted. With just one sweep of the brush, the complexion is illuminated and evened out with an incredibly light healthy glow. Ultra-light and ultra-fine, melt-away, soft and silky powder texture. 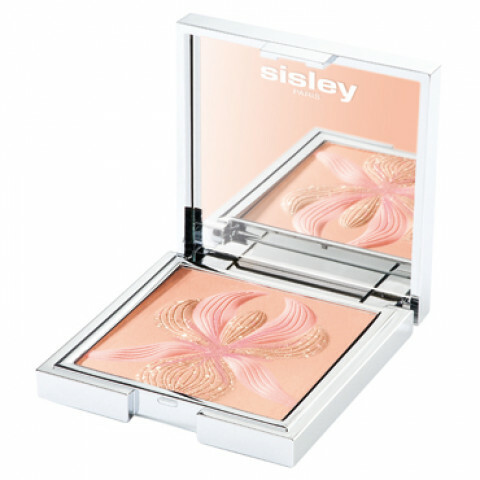 Apply with the Sisley Blush Brush. Take up a small amount of powder and tap any excess onto the back of your hand for a subtly nuanced make-up effect. Any praise for this blush will be underrated it is just heavenly glow on your cheeks , hard to overdo beautiful coral blush!! Gorgeous coral blush The colors are so beautiful. When you swirl the brush into the blush,, all the colors together form a perfect flush on your cheeks. The powder is so finely milled. It blends so well on your skin and gives you an ethereal glow. lovely color that gives the cheeks a nice rosy glow. It's very buildable and luminous. This is a stunning coral blush that is difficult to overapply. It works beautifully across a number of skintones. The color gives a healthy glow to my skin and it lasts forever on my skin. Can't recommend enough! This is a gorgeous piece to have in your collection. It's so gorgeous I don't want to use it. It adds a subtle luminosity to the skin and is very good quality. This palette is just stunning to look at. The powder is very finely milled, silky, and includes added benefits to improve the quality of the skin. Color is very luminous and beautiful.